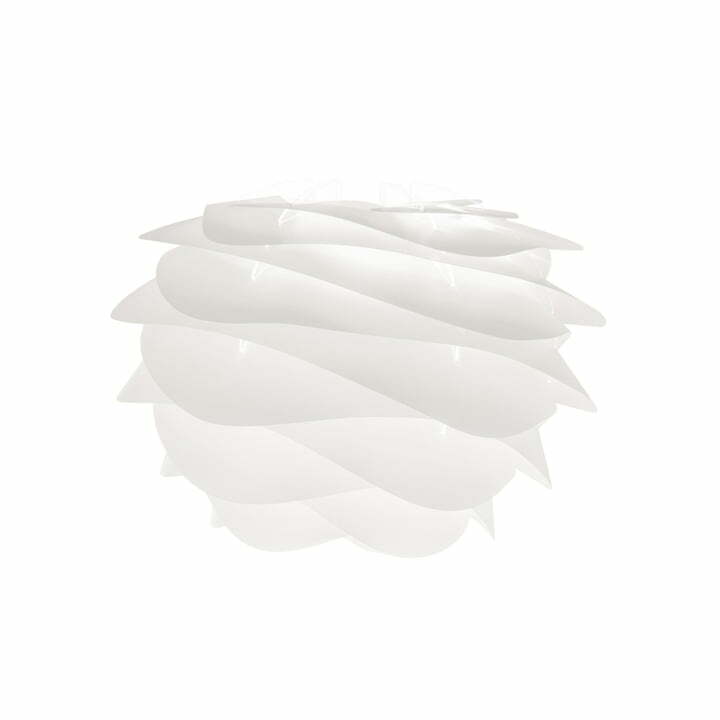 The designer Andreas Krem created the Carmina lamp inspired by the gentle waves of sand dunes. A fancy silhouette that suits the ceiling or the table or the floor with a suitable frame. 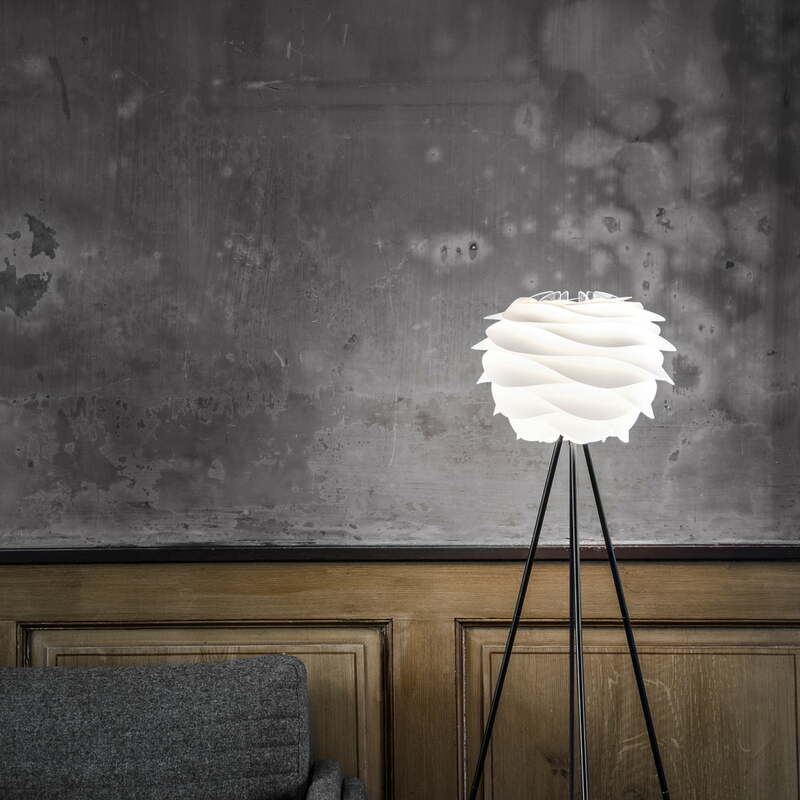 The quiet and visual lines and the reduced design become a special living room lamp together, looking gorgeous on top of a table or next to the sofa or the bed. 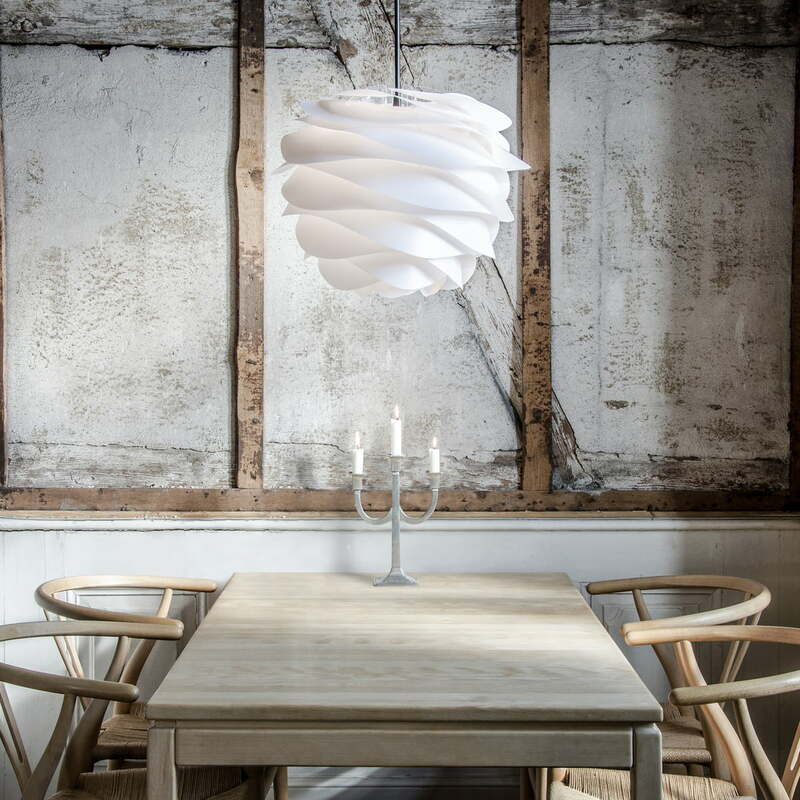 The unusual design of the Carmina is made from durable and lightweight polypropylene. 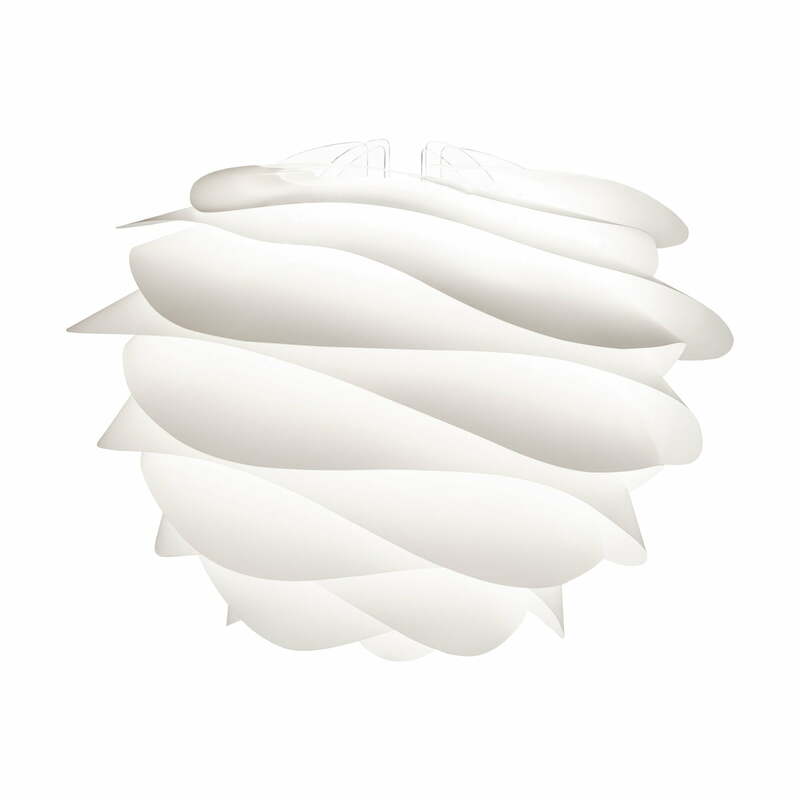 The Carmina lamp is easily built and cleaned, delivered in a gift box and demounted. The lamp is always delivered without cable, socket and light bulb for the customer to decide about all of it. 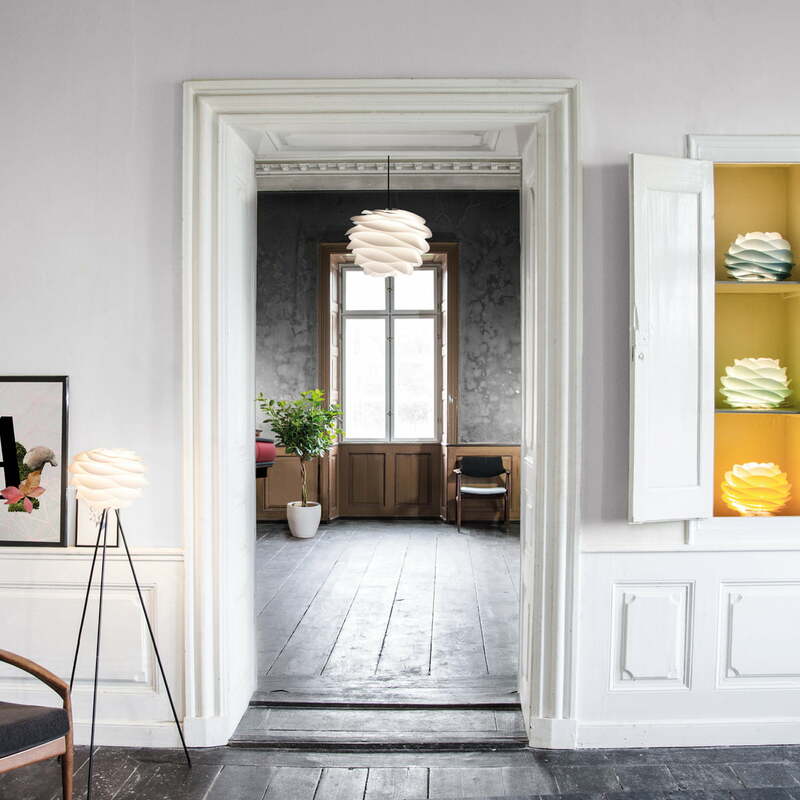 The Camina can be equipped with a suitable light cord set to be mounted at the ceiling, as well as with a tripod to become a decorative table or floor lamp if desired. 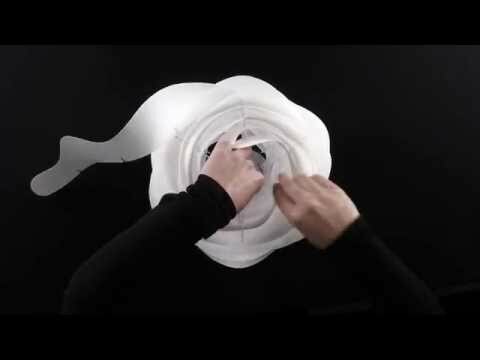 This video explains how to rebuild the Camina lamp by Umage step by step. Don’t worry about the many items: This practical assembly instructions will help you build up your new lamp in a few minutes. This lamp looks great in our baby room. With the help of the video it is easy to assemble. We chose the mini size because the room is small, and we are happy with it. Single image of the white lampshade Carmina Mini by the manufacturer Umage. The canopy is made of polycarbonate and polypropylene. Cable, socket and bulb are not included!